The overwhelmingly NYX swatches post? 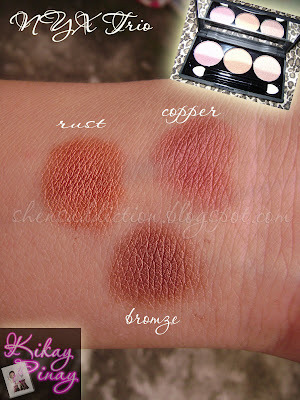 Well, I decided to use my NYX Trio in rust/copper/bronze today to give a little fire to my ho-hum day. This is what I came up with in 5 minutes (I was rushing for work) because I overslept. Ans still sleepy!